the New Brewcraft SA site! We offer an extensive range of local, imported and specialty ingredients and equipment for brewing beer, wine and making spirits & liqueurs. 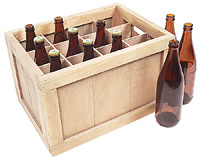 We strive to consistently serve the needs of home brewers throughout South Australia. Our team has years of home brewing and related experience, and are able to answer your questions about home brewing or winemaking. Free phone advice on 08 8234 9544. We look forward to helping you get the most from your interest in brewing, or wine and liquor making!